The author of Hebrews after showing that Jesus Christ is better than the prophets and the angels draws a comparison between Christ and Moses. In an unmistakable manner he stresses Christ's superiorities, but is careful not to offend this Jewish readers. The first readers were tempted to forsake Jesus for Moses. To do so would only repeat the unfaithfulness as in Moses day in a greater way because Jesus is far greater than Moses. "Therefore, holy brethren, partakers of a heavenly calling, consider Jesus, the Apostle and High Priest of our confession; He was faithful to Him who appointed Him, as Moses also was in all His house" (Hebrews 3:1-2). It is interesting that only in the letter to the Hebrews is Christ called "High Priest" numerous times (Heb 2:17; 4:14f; 5:5, 10; 6:20; 7:26, 28; 8:1, 3; 9:11; 10:21). Both Moses and Christ were faithful to God. "Holy brethren" (adelphos hagios) are fellow Christians or Christian brothers. They are believers, saints, the set apart ones who have been set apart for God (Gal. 1:11; 1 Cor. 1:2; Col. 1:2, etc). The stress is on our position in salvation. The adjective "holy" stresses that they have been sanctified by Jesus the sanctifier. The brethren are holy because they are made holy by Jesus. "For both He who sanctifies and those who are sanctified are all from one Father; for which reason He is not ashamed to call them brethren" (Hebrews 2:11; cf. 1 Cor. 1:2). He is their High Priest who has made "purification for the sins of the people" (v. 17). The brothers have been sanctified and may enter into the presence of a holy God. Their sins have been removed by the suffering death of Jesus. To say the believers are "holy" does not imply they are holy in themselves, but they are "sanctified" or "consecrated" because they have been chosen and set apart by God. Christians are "partakers of a heavenly calling" because of the effectual call of God to salvation. The effectual call comes from heaven and is to heaven in its appeal. This heavenly calling in the letters of Paul always refers to the successful and accepted call of God. The heavenly calling of God is irrevocable (Rom. 11:29). "I pray that the eyes of your heart may be enlightened, so that you will know what is the hope of His calling, what are the riches of the glory of His inheritance in the saints" (Ephesians 1:18; cf. 4:1, 4). God "who has saved us and called us with a holy calling, not according to our works, but according to His own purpose and grace which was granted us in Christ Jesus from all eternity" (2 Timothy 1:9). We are "partakers of the heavenly calling" because Christ became one of us through His incarnation. God issued the call. We are brothers because we share in the heavenly call. We share in everything Christ has. "What He has, we have; where He is, we are. He is the Hoy One of God, therefore we are holy. He has been 'made higher than the heavens,' therefore we are 'partakers of the heavenly calling'" observes A. W. Pink. Where our treasure is, there will be our hearts also. Christ is our Treasure, therefore consider Him. There is personal responsibility that goes with that calling. "Consider Jesus" (katanoesate) denotes serious attention, to fix one's eyes or mind on something to study it carefully. It is the action of the mind to apprehend certain facts about a thing. It means to direct one's whole mind to an object or to immerse oneself in the study. This is not a quick fleeting momentary look at Jesus, but a careful continuous observation and consideration so one can understand fully. The readers of this letter were slowly allowing their attention to drift away from Christ. They were losing their focus. Nowhere else in the New Testament is Jesus called an "apostle." However, Jesus spoke often of being sent by His Father (Luke 10:16; John 3:17, 34; 5:23, 30, 36-38, 43; 6:29, 57; 7:16, 29; 8:42; 10:36; 11:42; 12:49; 13:3; 17:3; 20:21; 1 John 4:10). The author of Hebrews deliberately chooses to call Him "the Apostle," and he reserves the word for Christ. God sent Jesus on His mission as His official representative and spokesman. Apostolos is one who is sent forth such as an ambassador empowered with all of the authority to represent the person and speak for the one who sends him. He cannot speak his own opinion. He can speak only the words his superior give him. The person sent is on a commission to do something. Moses was sent by God (Exodus 3:10), but in the person of Jesus God has spoken His final word. "For the Law was given through Moses; grace and truth were realized through Jesus Christ" (John 1:17). Moses was faithful in the household of God (Num. 12:7), and so was Jesus (Heb. 3:2). Each was faithful, but Jesus has infinitely superior glory because He is on an entirely different and vastly higher rank (v. 3). The "house" is God's house, and refers to God's people. There is another reason why Jesus is exalted in higher glory than Moses. Moses was never called a high priest. We have been introduced to the "merciful and faithful high priest in the things pertaining to God" in Hebrews 2:17. He has made "propitiation for the sins of the people." The very mention of Him would cause the readers to remember the Day of Atonement. Jesus takes away sins so that God's wrath does not fall upon the sinner. Only the blood of Jesus could ultimately and actually cover our sins and deal with our sin problem. What the blood of bulls could not do, Jesus did in His atoning death (Heb. 10:4). In Hebrews 4:14 Jesus is called "the great High Priest" for indeed He is. Moses could never provide eternal salvation, but Jesus the Son of God and great High Priest did. 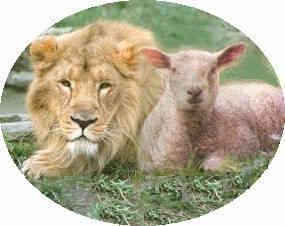 Now the author of Hebrews tells us Jesus is the "High Priest" who represents a holy God before men, and men before God. He is the perfect High Priest because He is the perfect man and perfect God. He is the God-man. He is the only person through whom man comes before God and God comes to man. He is able to assist us as we undergo temptation. No angel was ever qualified to represent us before God. As a faithful High Priest He is worthy of our confession. As the Apostle sent from God Jesus brought God's message to men and returned to heaven as our great High Priest to represent us before God. Jesus was far greater in glory than Moses and Aaron. The writer has compared Moses to an apostle, and Aaron the first high priest of Israel. The functions of these two brothers was perfectly combined and fulfilled in the one person Jesus. In the person and work of Jesus there comes together the apostolic and high-priestly function in one person. He came as the apostle of God in order as the High Priest of God to give His life as an atoning sacrifice for our sins. Jesus is the Apostle and High Priest of our confession (homologias). The author of Hebrews uses the human name "Jesus" to stress the work of Jesus for us on the earth with the two titles to declare our confession of Him as God's supreme Apostle and High Priest. "Confession is a better translation than profession, means to speak the same thing as another or to agree with someone else. We have received the final word of God through the teaching and preaching of Jesus Christ and we wholeheartedly agree with what He has said. We, therefore, must consider attentively and thoughtfully what God has said through His Apostle. Jesus "was faithful to Him who appointed Him, as Moses also was in all His house" (Hebrews 3:2). God the Father appointed Jesus to be the mediator between God and men. Thank God Jesus was faithful to God in providing expiation and cleansing of all of our sins. If Jesus had not been faith in His calling we would still be in our sins. Shall we lose all of His faithfulness by refusing to trust in Him? The author proceeds to a strong warning. Only those who have been cleansed by His atoning sacrifice can be faithful to Him. Jesus "was faithful" is a present participle meaning that the work God appointed Jesus to accomplish was not terminated when He was on the earth, but continues in heaven. Jesus continues to be faithful in His office as High Priest. He was faithful in accomplishing our salvation and He remains faithful. The term "house" is a synonym for the family of God. "We have a great priest over the house of God" (Hebrews 10:21). Moses was a part of the house Christ built (Heb. 3:3-4). "For He has been counted worthy of more glory than Moses, by just so much as the builder of the house has more honor than the house. For every house is built by someone, but the builder of all things is God" (Hebrews 3:3-4). No matter how majestic a building may be the architect who designed and built it gets more glory than the building itself. In the analogy of the house God is the architect and Jesus is the builder of God's house. Moses is a servant in God's house. Moses' faithfulness is not in question. Since God built everything, and Jesus Christ built God's house, Jesus is God. God the Father builds everything through His Son. Jesus is the founder and constructs the spiritual house of God. Because Christ constructs God's house, He is worthy of greater honor than Moses. He is seated at the right hand of Majesty on high (Heb. 1:3). The faithfulness of Moses is not less than that of Jesus. Both were faithful. Moses considered the reproach of Christ greater riches than the treasures of Egypt (Heb. 11:26). However, the relation of Moses to the house was less than the relation of Jesus to that same house because Jesus built the house. God who made Jesus the Apostle and High Priest crowned Him with a greater honor and glory. God promised David that He would build a house for him and a son would build a house for Him (1 Chron. 17:10-12). Jesus fulfilled that promise as the eternal Son. The LORD God builds the "house," and the incarnate Son belongs to the line of David, and therefore builds the "house" by His atoning sacrifice for sin. The one who built the house not only constructed it, but planned it and provided the furnishings. He is the master builder. Moses was considered part of the household of faith, but He who built all things is God. Moses was only "in" the house, but Jesus built the whole house and made Moses what he was in God's house. The Son was "over" the house. The important thing the author of Hebrews is stressing is the deity of Jesus. In verse three Christ has been stated to be the builder of the house of God. For the author of Hebrews Jesus is God's unique, one of a kind Son. Moreover in verse four the deity of Christ is intended. Jesus is worthy of much more glory than Moses because He did not cease to be the eternal Son. He was both Moses' God and His Redeemer. Moses was not without sin; he needed a savior. As the Redeemer Jesus Christ is the builder of the house of God's people who as "living stones" are "built into a spiritual house" and a "holy temple" (1 Pet. 2:5; Eph. 2:21). Jesus is both servant and sovereign. "Now Moses was faithful in all His house as a servant, for a testimony of those things which were to be spoken later; but Christ was faithful as a Son over His house whose house we are, if we hold fast our confidence and the boast of our hope firm until the end" (Hebrews 3:5-6). "Moses was faithful in all His house as a servant" is a quotation from Numbers 12:6, 7. The Jewish people could not imagine of anyone standing closer to God than Moses. The author of Hebrews does not disparage the faithfulness of Moses by quoting Numbers 12:7 in the Septuagint. Moses was a servant "in" God's house; Christ is a Son "over" God's house. Moses was servant, but Christ is the absolute sovereign over the house. Moses' standing as a servant corresponds to the angels who are servants to the heirs of salvation (Heb. 1:14). The word used to describe Moses as a "servant" is therapon which connotes a willingness to serve, personal service freely rendered out of love and is an honorable position. This word is in contrast to the word "servant" (doulos) signifying one who must serve as a slave. Moses served with dignity. In the New Testament the word therapon is used only of Moses. As a servant Moses prophesied of the coming of Christ (Deu. 18:15-18). Moses was faith in God's house as a servant who communicated faithfully God's words to Israel, but Christ is faithful as a Son who is the Apostle and High Priest. Therefore, Christ is greater than Moses. Moses was only a part of the house, but Christ was the creator of the house. Moses was a spokesman of the law, but Christ is the living Word of God. Moses pointed to the coming of one who was greater than himself, but Christ is the one of whom Moses wrote. Moses knew something about God, but Christ was God. The author of Hebrews makes it very clear that Christian believers are involved in this house of God. There is one house in view throughout this passage. All true believers are represented by this house of God or household of faith. When we consider the Old Testament as well as the New it is thrilling to observe that the preexistent Son was also the builder in the Old. The conditional sentence "if we hold fast our confidence and boast of our hope firm until the end" insists on the fact that continuance in the Christian faith is the test of reality. You will know them by their fruits. This is a repeated theme in Hebrews. The doctrine of the perseverance of the saints insists that believers are people who persevere to the end. Jesus' parable of the sower gives great instruction on interpreting these conditional sentences in the letter to the Hebrews. The rocky ground did not last long. It had no root system. The sprout sprung up and quickly died (Matthew 13:19-22). That is the concern of the writer. "Now faith is the assurance of things hoped for, the conviction of things not seen" (Hebrews 11:1). Don't abandon your faith in Christ for Judaism. To do so would demonstrate that they had never really become new creatures in Christ. "Hold fast (katanoein) our confidence" (parrhesia) to fix the attention on something so that one can learn its inner meaning. The call of God demands our concentrated gaze. True regenerated believers will persevere to the end. They will keep their focus on Christ. We look ahead to the consummation of our salvation when Christ returns. Our "confidence" (parrhesia) is translated boldness, frankness, openness, confidence. What is the household of God today over which Christ rules? It is comprised of all believers. There is only one continuous household of God which goes back to Abel, Enoch, Noah, Abraham and Moses. Hebrews chapter eleven demonstrates this fact. Speaking of Gentile believers the apostle Paul wrote, "So then you are no longer strangers and aliens, but you are fellow citizens with the saints [Jewish Old Testament believers], and are of God's household," (Ephesians 2:19). The title "Christ" is first mentioned here, and means "Messiah" or "anointed one." The personal name "Jesus, "Yahweh is salvation" was first mentioned in 2:9. We are members of God's house if we have put our trust in Christ. Our "hope" is the glory of which we are assured that God will bring many sons to glory (Heb. 2:10). Jesus has already been crowned with that glory and honor (Heb. 2:9). We are co-heirs with Him in glory (Heb. 1:2, 14; Rom. 8:17). Jesus Christ as the Apostle of God who uttered God's final Word. God spoke in the person of the Son, the Second Person of the Trinity, who Himself is the Word. Therefore, we had better pay perfect attention to Him. "For if you believed Moses, you would believe Me, for he wrote about Me" (John 5:46). Jesus as our great High Priest offered Himself so that the shedding of His blood covered all our sins. "Therefore, having been justified by faith, we have peace with God through our Lord Jesus Christ" (Romans 5:1). We must pay attention to God's Word if we are God's house and members of His household. Continuance in the Christian life is the test of reality that we have that life. The saints are the people who persevere to the end. A Christian's eternal security is not dependent upon himself and what he does, but on Christ and His merits. You either have eternal life or you do not. Security in Christ does not absolve personal responsibility in living the Christian life. Any person whose profession of faith contradicts the quality of his life should examine himself to see whether he is a true believer in Christ or not.